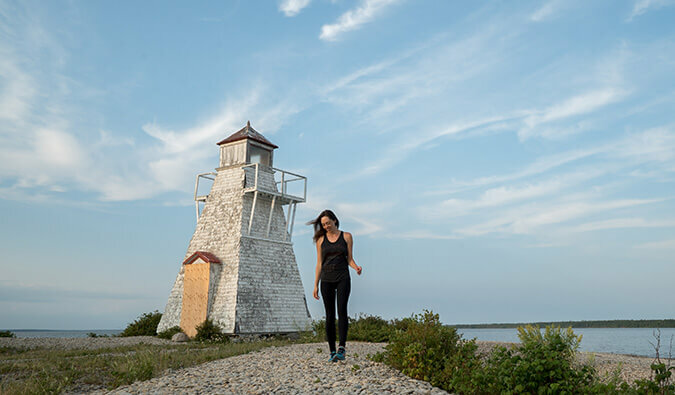 On the second Wednesday of the month, Kristin Addis from Be My Travel Muse writes a guest column featuring tips and advice on solo female travel. It’s an important topic I can’t cover so I brought in an expert to share her advice. It was February in China and, considering the town of Lijiang’s elevation in Yunnan province, still very much a cold winter wonderland. Standing outside waiting wasn’t how I wanted to spend the morning. But Ya Ting had such enthusiasm for the idea of hitchhiking that opting for the bus just seemed boring at this point. 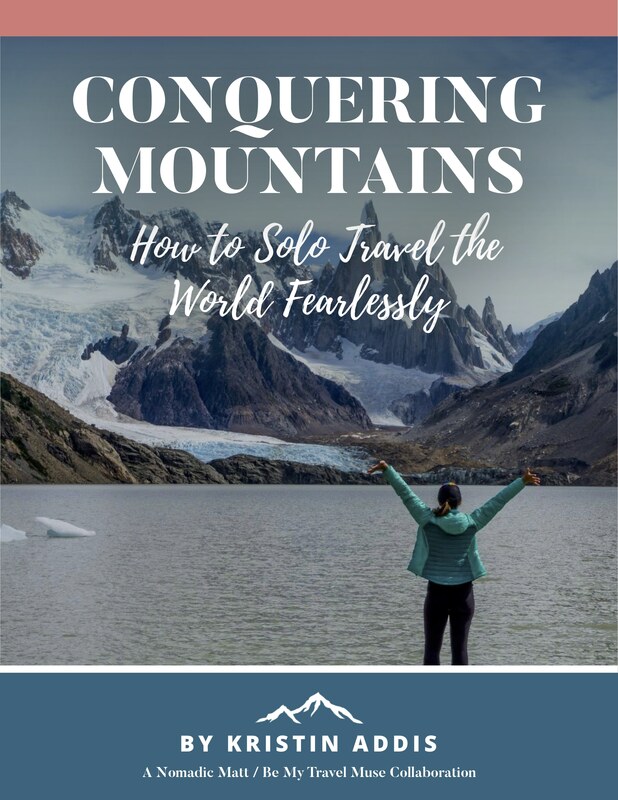 She had been hitchhiking around China for months and considered it such a casual and obvious option that it took the fear right out of me. China had been on my bucket list ever since studying Mandarin in Taiwan seven years prior. I knew from conversations with friends that traveling around China would not be as carefree and easy as in Southeast Asia. What I didn’t plan on was spending about a month without coming across another foreigner, hitchhiking over 1,000 miles, and learning more about Chinese culture and hospitality than I think possible from traveling by bus or train. 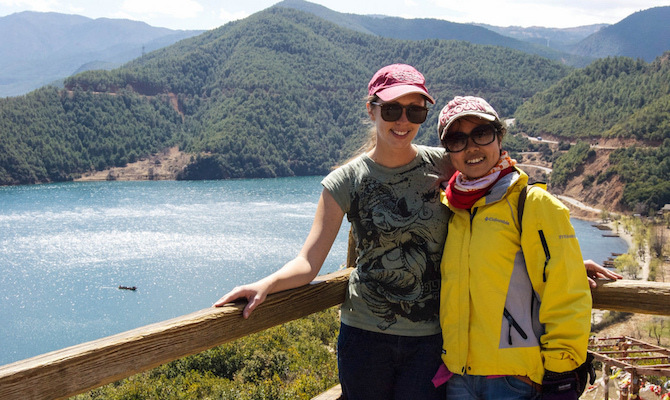 Ya Ting had taken me under her wing after hearing me speaking Mandarin in a hostel dorm in Lijiang. She was fascinated by my fluency and wanted to travel together, which was how we ended up on the side of the road looking for a ride to the Tiger Leaping Gorge. Within 20 minutes, we had our first ride. I guess it wouldn’t take hours after all. He couldn’t take us all the way and ended up dropping us at a freeway crossroads. I figured that would be the end of our luck, but almost immediately we got another ride. Hitchhiking turned out to be more of a study of anthropology than a scary, irresponsible joy ride. It was astonishingly easy and drivers turned out to be incredibly nice and normal. As a new hitchhiker, I expected creeps and serial murderers I’d have to fight off with mace. In reality, they came from all normal walks of life: members of minority village tribes, university students, and businessmen returning home from a work trip. Not once did I feel threatened or unsafe. Our most noteworthy encounter was when a twenty-something kid picked us up. He couldn’t take us the whole way so his uncle bought us lunch and a bus ticket for the rest of the journey. It’s as though he felt obligated to help us find a way to complete our trip. It brought tears of joy and gratitude to my eyes. This was the first time I understood the importance of generosity and the high esteem that guests command in China. It was a selfless act that would repeat itself in the weeks to come. Ya Ting’s theory had been that we were so getting so lucky because we were a local and a foreigner together, and that had sparked intrigue. She didn’t think we would get so lucky once we split up. After a few weeks traveling together, we said good-bye and I would test her theory. 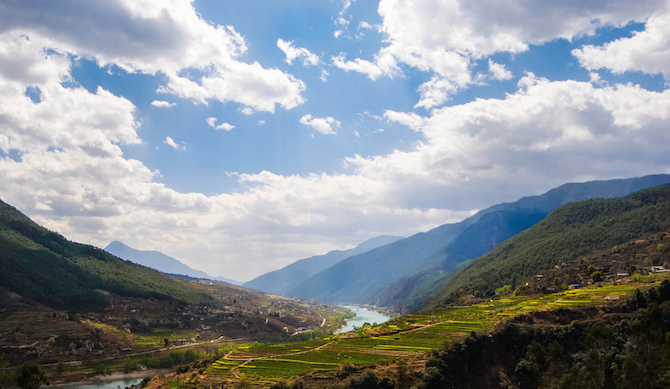 I stood behind the tollbooth on a heavily trafficked highway on-ramp in Sichuan province, casually lowering my thumb each time a police car drove by. I was well aware of the challenge before me. Ya Ting was no longer around to do the talking, nor did I have someone to lean upon if something went wrong. Now I was just a strange foreigner on her own who suddenly had to manage with a borderline-conversational Mandarin ability. At first, a few cars slowed down for a closer look, only to speed off. Then others simply weren’t going in my direction. Minutes stretched on, and I was feeling defeated. After about 30 minutes (or an eternity depending on who is counting), a kind duo picked me up and took me the entire eight hours to Chengdu. They hosted lunch on the way, and, as I had come to learn was typical of Chinese culture, refused to allow me to pay for any of it. I was amazed at the kindness that was still extended to me now that I was just a foreigner on her own and no longer had Ya Ting’s dynamic personality to help me along. This reinforced my belief that people weren’t being friendly because of Ya Ting but that Chinese culture dictates a hospitality we don’t often see in the West. A week later, two business partners returning from a trip from Tibet picked me up. 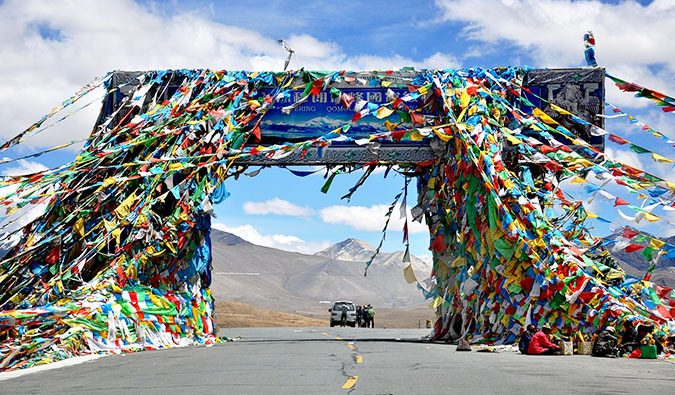 They drove about twice as fast as the buses and, in between white-knuckling it in the back seat and eating the occasional slice of yak jerky (delicious dehydrated beef-like meat with Tibetan spices), we discussed the topography of California as compared to Sichuan province. They stopped on the way for a lunch of the famous ya an fish, which the driver, Mr. Li, had selected from the fish tank, along with some six other massive dishes to be split among us three people. He explained that the fish had a double-edged sword inside its head. Given my perplexed expression he elected to show me, calling over the waitress and asking her to break the fish’s head open. I was all but convinced I was going to have to eat fish brain until the waitress triumphantly pulled out a sword-shaped bone from the fish’s head. She then cleaned it and fashioned it into a bracelet. It simultaneously became the most sharp and lethal yet genuinely interesting piece of jewelry anyone had ever given me. It felt like my heart grew two sizes it that moment. China smashed many of my perceptions. Before this, I never understood why anyone hitchhiked. Getting into vehicles with strangers seemed dangerous and stupid. In reality, it taught me about kindness, improved my language ability immensely, and provided an insider’s view as a foreigner in China. From eating meals with locals, to sitting in their cars, to hearing the music they liked most, or whether they preferred bagged chicken feet to dried fruit, I witnessed Chinese life in a way that almost nobody else gets to see. Without hitchhiking, I may never have understood the generous and communal nature of Chinese people. 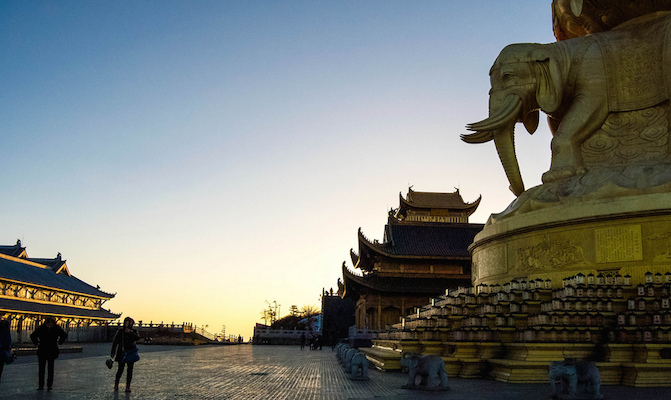 Find a cheap flight to China by using Skyscanner or Momondo. They are my two favorite search engines. Start with Momondo. Want More Information on China? 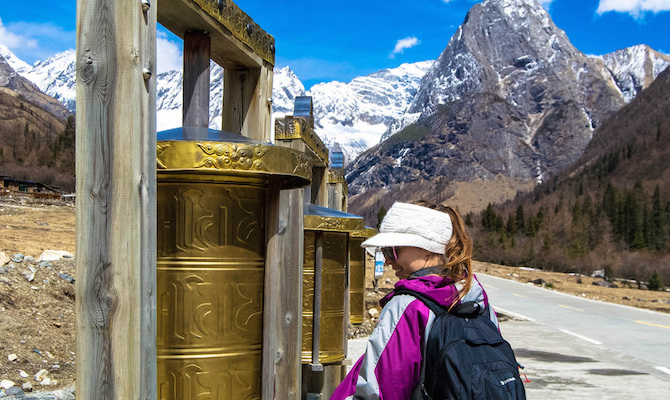 Be sure to visit our robust destination guide on China for even more planning tips! Great read. Such a brave thing to do, hitchhiking in a foreign country. I’m currently living in Wuhan, and I would love to get to see the more rural side of China as well and experience more Chinese hospitality. 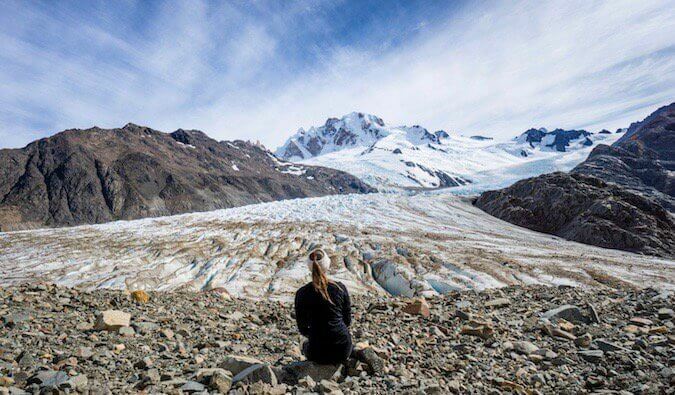 China has always seemed like a fascinating country to me with amazing culture but I never thought that it could be so easy for a solo female traveler to hitchhike across the country (or maybe you just make it sound easy). Sounds like you a had a great time, I hope that I can visit China one day. It really was that easy! It seems more accepted in China that in other countries. Worth a try if you’re feeling adventurous. Wow, what an amazing experience! I wish I had the guts to do something like this. Traveling has encouraged me to do so many things I never thought I was capable of doing but hitchhiking scares me, solo or otherwise. It’s stupid as I know logically the chances are so high that you’ll get picked up by a genuine, kind person… Guess I’ve seen too many horror films. Reading this makes me want to conquer my fear one day though! Same here and honestly without Ya Ting I would have never tried. Now I see it differently but I needed a little hand-holding at first. 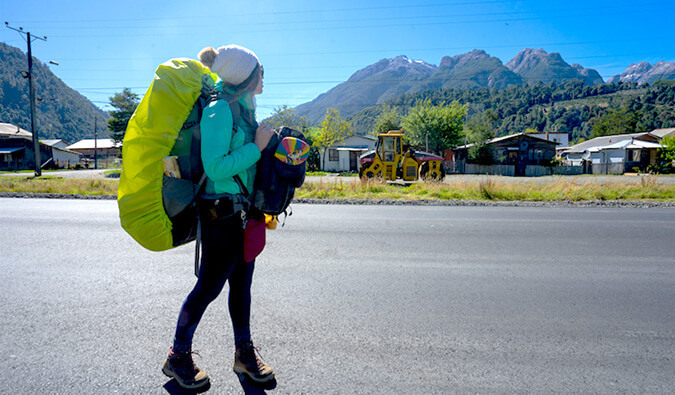 What an amazing experience…I would honestly never consider hitchhiking, even though I’ve seen other travelers do it. The idea just seems to go against everything I’ve ever been taught…which is probably more of a reason why I should do it. I think, though, that as a younger female, I should probably wait until I am more confident traveling in general. You’re making me wish I tried hitch-hiking in China, it sounds like a perfect way to experience Chines culture! This is such a great read and very inspirational. China is still such a mystery to us in the West and we can learn so much from their generous and friendly culture. I would never have thought China was an easy country to travel round, but after reading this article I hope to be able to visit there soon. That’s great, Linda! I’m glad it inspired you. Great stories..! Yes, Chinese people are very hospitable. Especially if you’re a foreigner speaking the language (at least a little bit). They often feel honoured to show you their country and are genuinely interested in your impressions of China. Although I didn’t hitchhike in China at all, I also kept experiencing their kindness. When stuck at a cave site, far from Yangshuo where I was staying, a kind couple took me back to the city on their tiny motorbike. Needless to say that specifically in Yangshuo and surroundings not more than 2 persons are allowed to ride on a motorbike.. So they even risked being fined! I spent my teenage years in China. While I found a lot of things (govt, the way some people are treated, polution) deplorable, I also saw a side most expat kids overlooked. I ran away from home for a bit. The working class Chinese were so wonderful to me. I worked with them, lived with them, ate with them. They really treated me like family. I eventually turned myself in and got sent back to the US. Those city blocks have been demolished and their residents displaced. Nope. In fact the out of 13 rides only one had a girl in the car. I did wonder about that but none of them ever acted inappropriately. I don’t think my mother was too pleased! I’m a female who lived and worked in Shanghai for three years (2009-2012) and I never thought about hitchhiking there, mostly because when I got out of the city into smaller towns I was with a group of friends. Also, although I studied Mandarin with a tutor while there, I wasn’t especially confident in my language skills. Finally, as an American, I was always warned against doing so for safety reasons. However, I like to think that if I did have an occasion to do so, I would have had the same good experience that Kristin had. I’ve lived in different cities in the US and traveled to many more around the world, and Shanghai was the safest city I ever lived in and I’m sure will ever live. I could walk anywhere by myself at any time of day or night (or very early morning 🙂 and feel totally comfortable. And when interacting with locals with even a little Mandarin, they were usually kind and helpful; perhaps more so in smaller towns because they just aren’t used to foreigners and are hence very intrigued with us. The familial culture is part of that, but I believe the lack of violence is also caused by both the lack of guns and the fact that the penal system there is very harsh. Not matter the cause and no matter which way you travel around the country, I definitely recommend visiting China, both its large cities and small villages, if you ever have the chance. It has thousands of years of history, yet is very dynamic – plenty of noticeable changes just within those three years. I look forward to going back sometime in the next few years to see at least some of the many places I missed while living there and to see the changes that are sure to have come on the ones familiar to me.